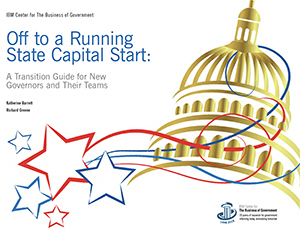 These lessons are based on the authors’ nearly 30 years of experience in reporting on state governments as well as a set of reports developed in 2016 for the upcoming presidential transition, prepared by the IBM Center for The Business of Government in collaboration with the Partnership for Public Service. A basic message emerged that has relevance at all levels of government: prioritizing good management early in the tenure of a new administration helps achieve positive results quickly, while a lack of management focus can derail successful implementation. Check out our infographic on the report.